For celebrities and other famous individuals, they usually get the publicity that they weren't able to witness anymore-simply because they're dead. As for the former Apple chief executive Steve Jobs, he passed away yesterday after his 56 years of existence. This made me realize that wealth cannot stop the unstoppable... Steve's death is a great loss for the techie world of Apple. his ingenuity will surely be missed. But life's like that- death is beyond anyone's control... Steve is survived by his wife, Laurene with whom he had three children. he also had a daughter with another woman prior to his marriage. No words can totally comfort the bereaved family of Steve. 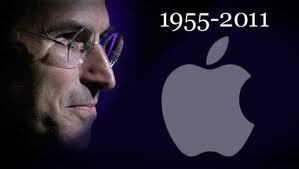 But his legacy will remain forever, specially for his Apple Family whom he was the co-founder.